Laguna Sands Samui is located at Bang Por near to Maenam, between the town of Nathon, Koh Samui's small seafront capital and Chaweng Beach, the lively tourist hub, located about 10 and 20 minutes respectively by taxi or private car. Bophut, the 'Fisherman's Village', is amongst the oldest of Koh Samui's small fishing communities it is only a short drive from the house and is a favourite among visitors for dining out. The village of Bang Por is noted for its varied selection of beach restaurants for both Seafood and reasonably priced Thai food and international food – all within an easy walk along the beach to the left and right of the villa. 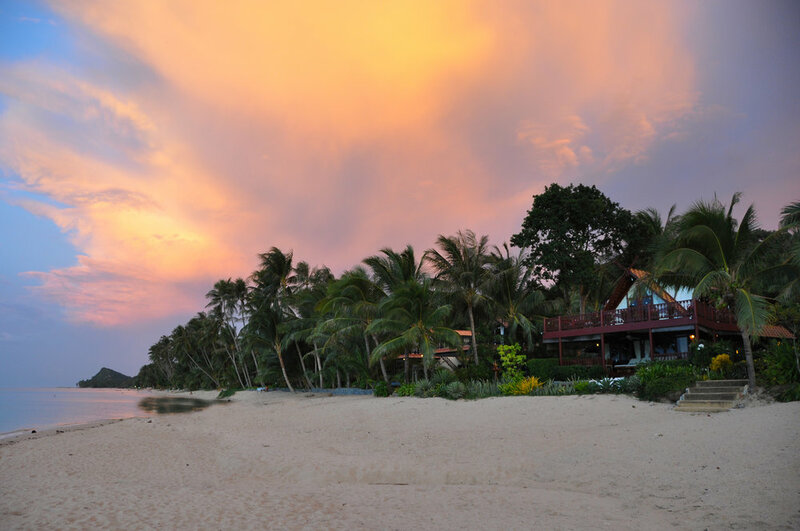 Laguna Sands Samui has four bedrooms and four bathrooms and can accommodate families or groups of up to eight friends. Koh Phang Ngan, famous for its regular Full Moon Parties, is a short boat ride across the Bay. It’s time to book your dream destination in Thailand. Click the button below to book direct with us.